If you're new around here, a few weeks ago I shared my weight loss journey and I may or may not have revealed some much larger photos of myself from years ago. Whether you're looking for some extra motivation, a reminder, or even a chuckle, I advise you to check them out. I also mentioned here that I've recently been noticing that I'm starting to slip back into some old, bad habits and how I really needed to get back on track, especially with the holidays coming up in just a few short weeks. Instead of spending whatever money I have left after my Christmas shopping money on new clothes, new makeup, or anything else to make me feel good for over the holidays, I'm a firm believer that dropping a few pounds will get the job done for me even better. Plus, I figured that way, I also won't feel as guilty when I dive head first indulge in some holiday treats. So, leading up to Christmas, as a way to stay on track, I'm sharing my progress for each week. Here's my update after the first week. -Although I've always been really good about drinking tons and tons of water, I've continued to do so this week (and possibly even more). 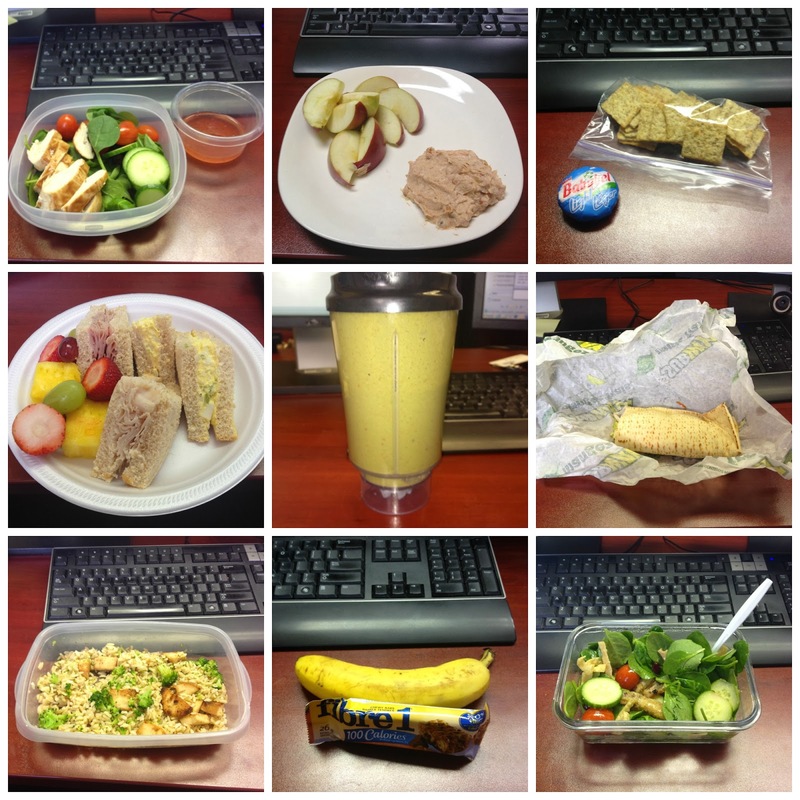 -I've been packing my lunches for work before I go to bed each night and it's made a tremendous difference because my meals and snacks have been so much healthier. - While I didn't do a whole lot in the fitness department this week, I did get out for a half hour run. I figured that with the combination of not running in months and the cold weather I was going to be really discouraged, but it actually turned out to be a great run and it has me more motivated to continue on. It also made me realize how much I missed the feeling of soreness! - I'm aiming for at least 3 times of exercising for next week. - The burger and fries that I consumed in a total of 2.5 seconds on Saturday night. And maybe some drinks (we went out for a friends birthday and there was no way this girl was ordering a water and a salad). - It's also in the "bad" category because I didn't regret it one bit, it was all just too yummy. I must say, even after only one week, I've become much more motivated and I'm already starting to feel better. Now if I could only fit into my New Year's dress that I bought last year, I'd be one extremely happy girl!